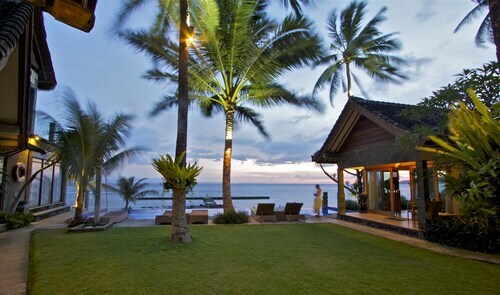 Nestled on the beach, this Manggis villa is 0.6 mi (1 km) from Candidasa Beach and 2.1 mi (3.5 km) from Balina Beach. Blue Lagoon Beach and Pasir Putih Beach are also within 9 mi (15 km). Nestled on the beach, this Manggis hotel is 1.5 mi (2.4 km) from Balina Beach and 1.7 mi (2.8 km) from Candidasa Beach. Blue Lagoon Beach and Pasir Putih Beach are also within 9 mi (15 km). Nestled on the beach, this Manggis hotel is 1.4 mi (2.2 km) from Balina Beach and 2 mi (3.3 km) from Candidasa Beach. Blue Lagoon Beach and Pasir Putih Beach are also within 9 mi (15 km). Nestled on the beach, this Manggis hotel is 0.6 mi (1 km) from Candidasa Beach and 2.1 mi (3.5 km) from Balina Beach. Blue Lagoon Beach and Pasir Putih Beach are also within 9 mi (15 km). This family-friendly Manggis hotel is located on the waterfront, within 3 mi (5 km) of Candidasa Beach and Balina Beach. Tanah Ampo and Blue Lagoon Beach are also within 9 mi (15 km). Situated in Manggis, this luxury resort is 0.3 mi (0.4 km) from Balina Beach and within 3 mi (5 km) of Candidasa Beach and Tanah Ampo. Blue Lagoon Beach and Padangbai Pier are also within 6 mi (10 km). 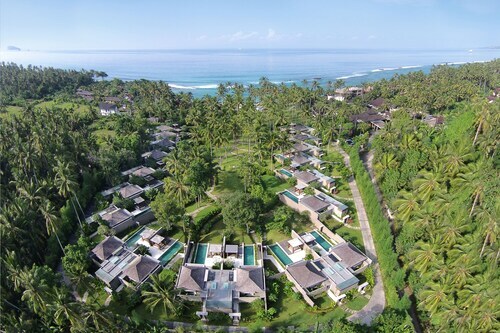 Manggis is home to one of the most luxurious destinations on Bali. Surrounded by historic temples, sweeping bays, ancient palaces, traditional villages and access to the best water sports on the island, a holiday here is the best escape. All you need to do is book a Manggis hotel, so why wait? Book your dream holiday today! Love hiking? Just behind Manggis is the towering backdrop to Bali. Mount Agung is the highest mountain on the island, and offers a challenging climb for adventure seekers. As you follow the track up the mountain keep an eye open for the fantastic native wildlife, and regular appearances of hawks and eagles soaring overhead. Stop in at the Besakih Temple, which is otherwise known as the ‘Mother Temple’ of Bali. 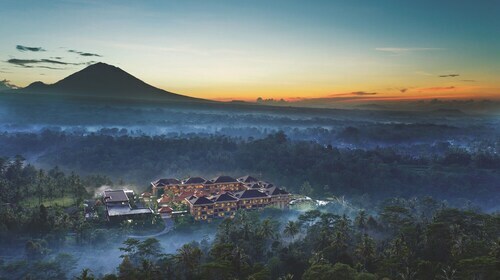 Sitting 3000 feet up the slopes of Mount Agung, it's the most important Hindu temple in Bali. Stroll through the fantastic complex where you'll find 23 different temples for you to explore. These all date back to the 14th century, and are fantastic historical sites full of history. Outside of Manggis visit the Tirtagangga, a Royal Water Palace that has recently been opened to the public. Here you can relax in lush tropical gardens and swim in the cool spring-fed pools, while dreaming of what life was like for the king. Check out the tiny little community of Tenganan Village, and none is more rooted in the past than this quaint little village. Watch as the locals craft handmade fabric and weaves, while others play the traditional Gamelan Selunding instruments. No trip is complete without spending time at the beach, so visit the best in the region just 10 minutes away at Pasir Putih Beach. The sand is mostly white, with dark volcanic streaks peeking through. Surrounded by palm trees the allure of the beach is the calm waters and fantastic scenery. 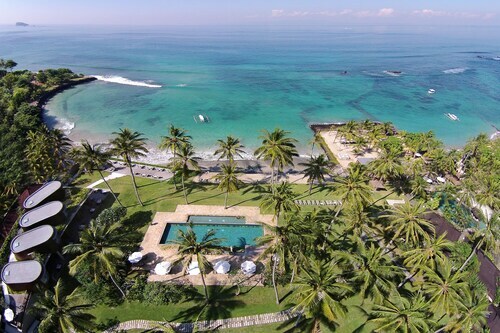 Come enjoy swimming in the ocean, snorkelling in fantastic reefs or simply sunbathing on the sand with a good book. 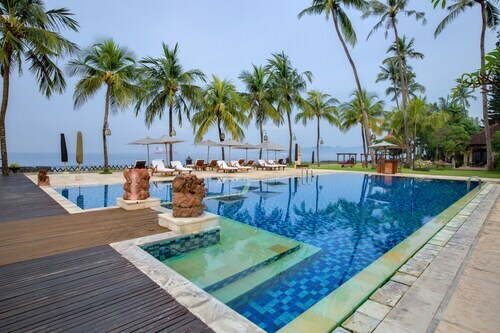 See the best of Bali and enjoy paradise right by the water with a trip to Manggis. All you need to do is choose a flight to Bali! 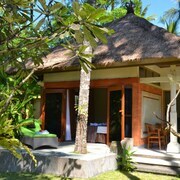 Don't forget to check out our Manggis accommodation, and come have a fantastic vacation. How Much is a Hotel Room in Manggis? Hotels in Manggis start at AU$43 per night. Prices and availability subject to change. Additional terms may apply.